Empanda is the Goddess of openness, friendliness and generosity, whose temple never closed to those in need. Empanda is the Goddess of openness, friendliness and generosity, whose temple never closed to those in need. 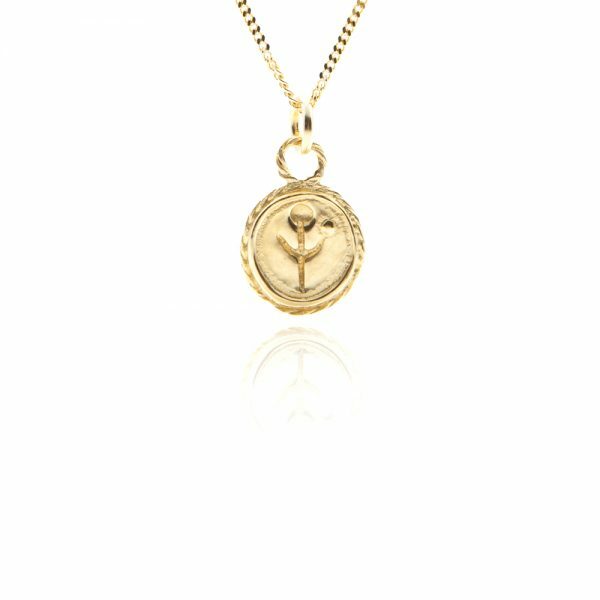 Inspired by roman coins and ancient symbols of crescent moons and suns, the Empanda symbol charm necklace makes up the figure of a carer and baby, representing the ever giving love, care and responsibility that comes with mother and fatherhood and the unbreakable bond between parent and child. At Boodi, we are animal mad! Improving the lives and welfare of animals around the world as much as we can is the aim of our game. 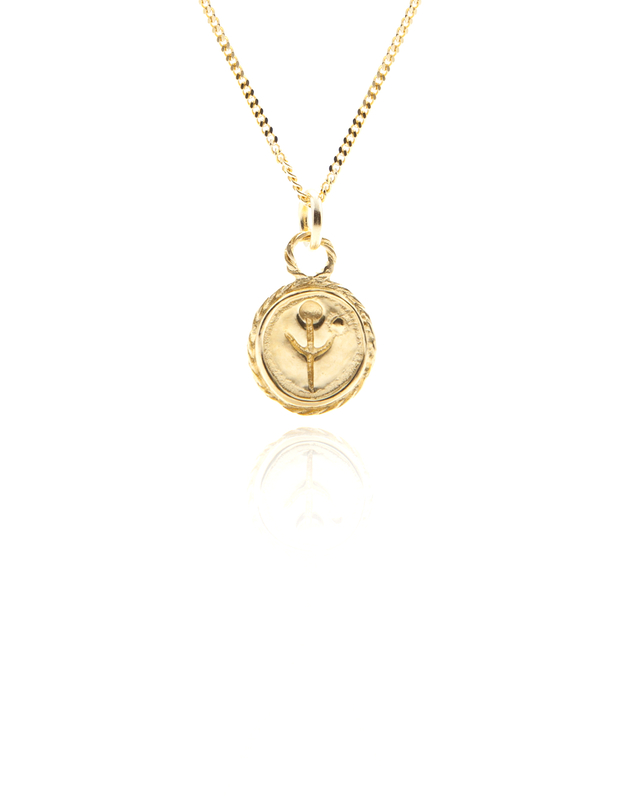 Therefore 10% of sales from each purchase of the Empanda symbol charm necklace is donated to Born Free Foundation. Visit their website www.bornfree.org.uk or the Charity section on this page for more information on the great work they do. 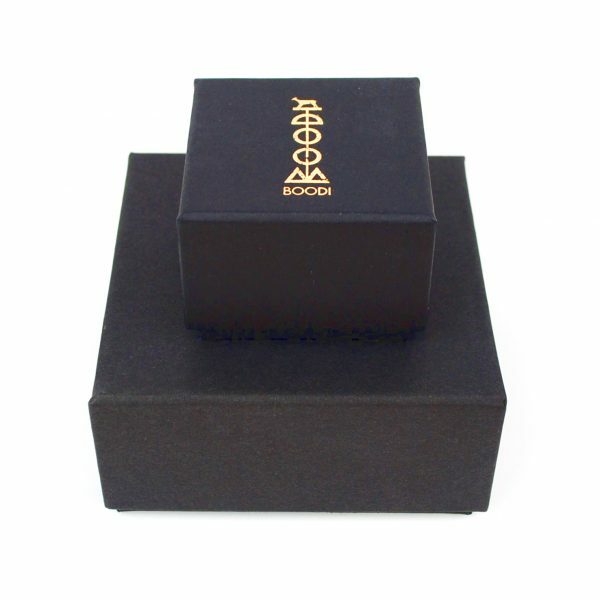 The Emanda symbol charm is carefully hand carved using the lost wax process. It is then cast from recycled sterling silver with a sterling silver chain and 24 karat gold plated. Recycled sterling silver and solid gold options are also available. If you’re having trouble finding them in our shop do get in touch for help. The Empanda symbol charm measures 1.5cm in length and is available on a 16″ or 18″ sterling silver chain. It is cast from recycled sterling silver with a sterling silver chain and then 24 karat gold plated. Recycled sterling silver and solid gold options are also available. If you having trouble finding them in our shop do get in touch for help. 10% of sales from each purchase of the Empanda symbol earrings are donated to The Born Free Foundation.